She's going to want to see a moose!!! Mrs. Brewer started day one looking for a moose! 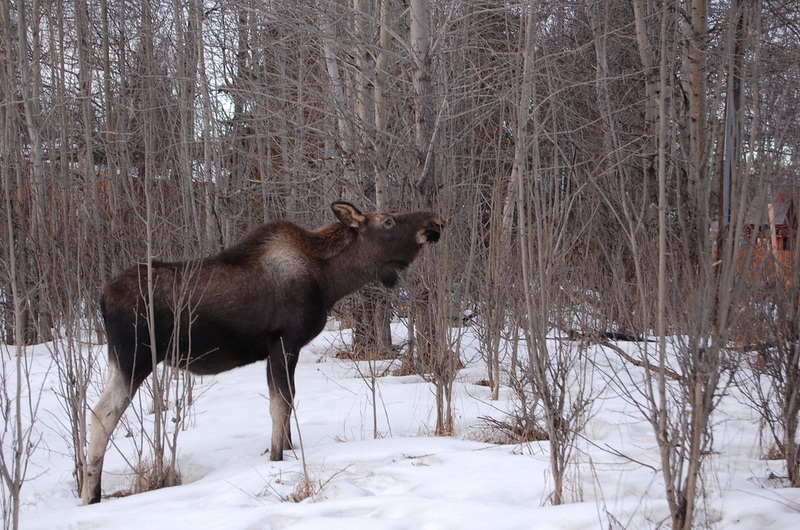 All the locals said when you asked them where you could see a moose was, "Oh, they are everywhere." Well, they weren't everywhere we looked. 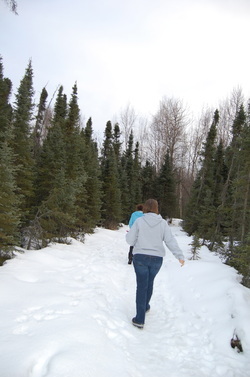 The first day we went to Seward and I tried out my moose call every chance I got. No luck! We searched day after day with no luck. 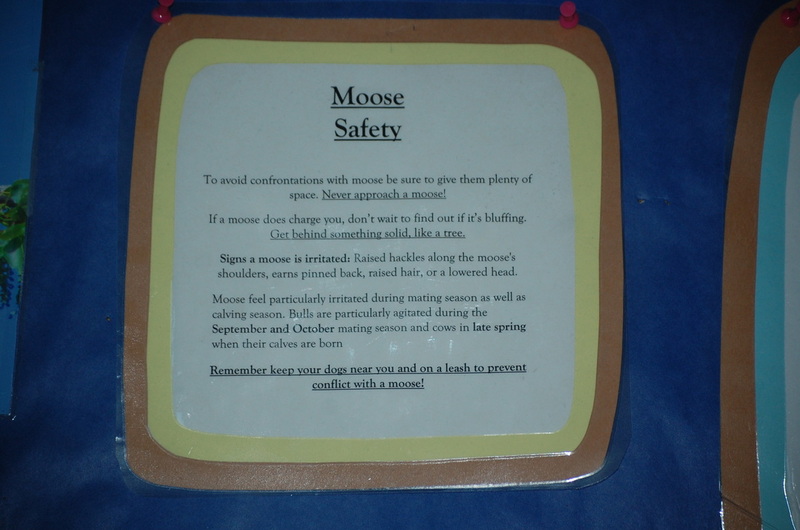 We were beginning to think finding a moose would be like finding Bigfoot. We searched in a couple of parks. 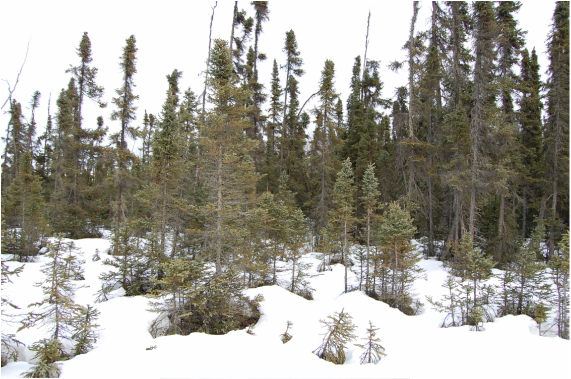 It was a little scary out in the trees and the eerie silence (except for one of my occasional moose calls). We found tracks and tried to follow them. At one point, Mrs. Wolff said what if one came out and chased us, how would we get back out of the woods. 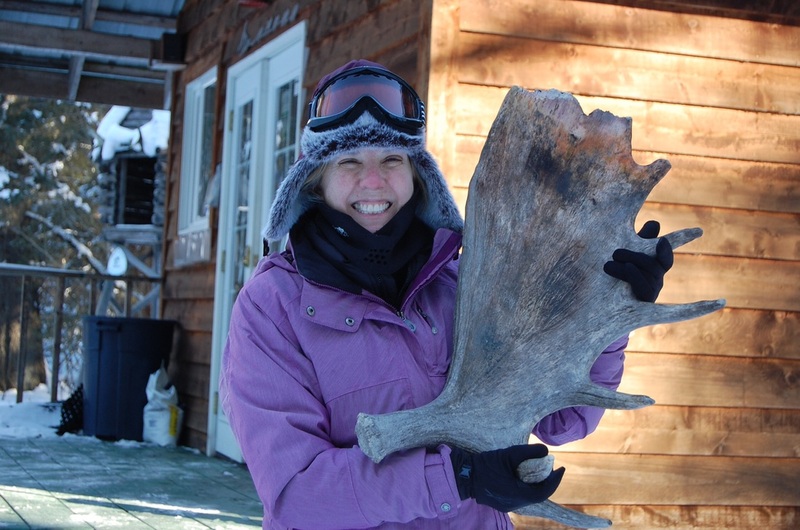 We got close by finding an antler and having some fun with it. It was much heavier than I expected. Well, we know what to do and not do if we actually see one now. Just when we were about to give up, the clouds parted and the Hallelujah chorus sounded. There he was. He was munching trees in someone's backyard. In order for us to safely photograph him, we parked on the sidewalk. 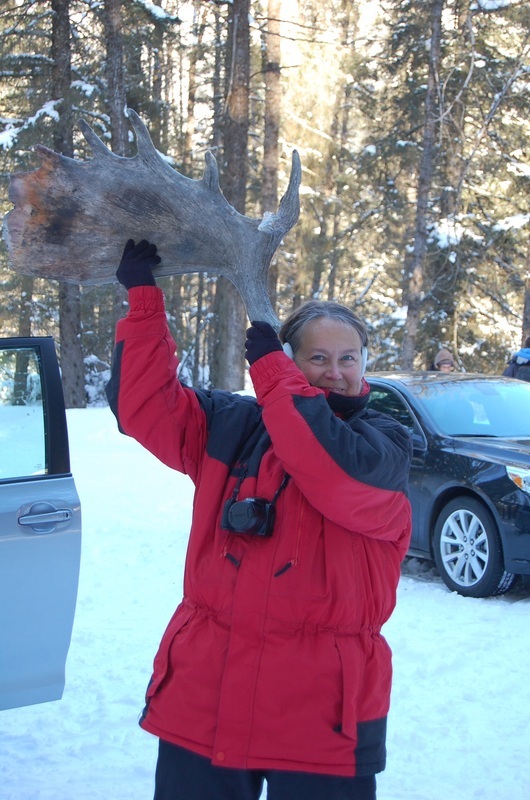 Of course, much to the dismay of my friends, I climbed out of the car and started approaching the moose. 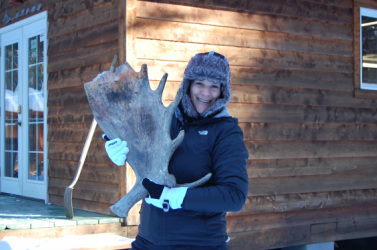 I made my moose call and do you know that he didn't even turn and look at me? He was more interested in munching trees. No matter, mission accomplished. We found a moose!!!!! 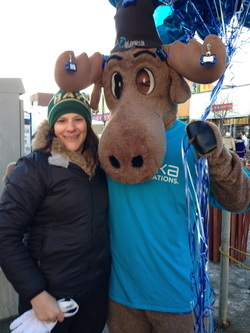 We moose-st ask you a question? 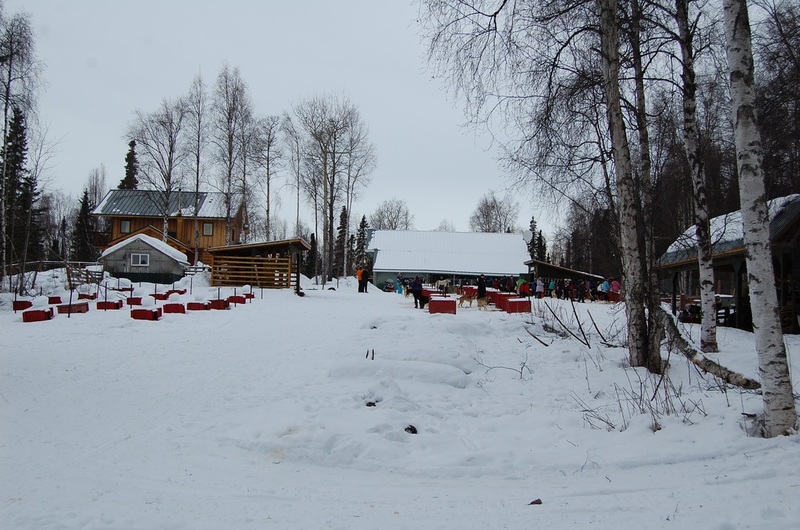 After we left Iditarod Headquarters, we went to Vern Halter's Dream a Dream Dog Kennel. 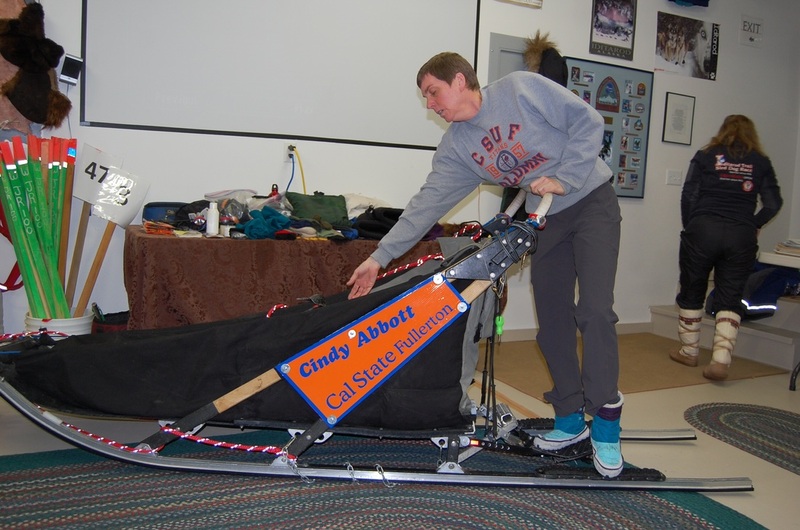 He gave us an amazing talk about the sled he built for musher Cindy Abbott. 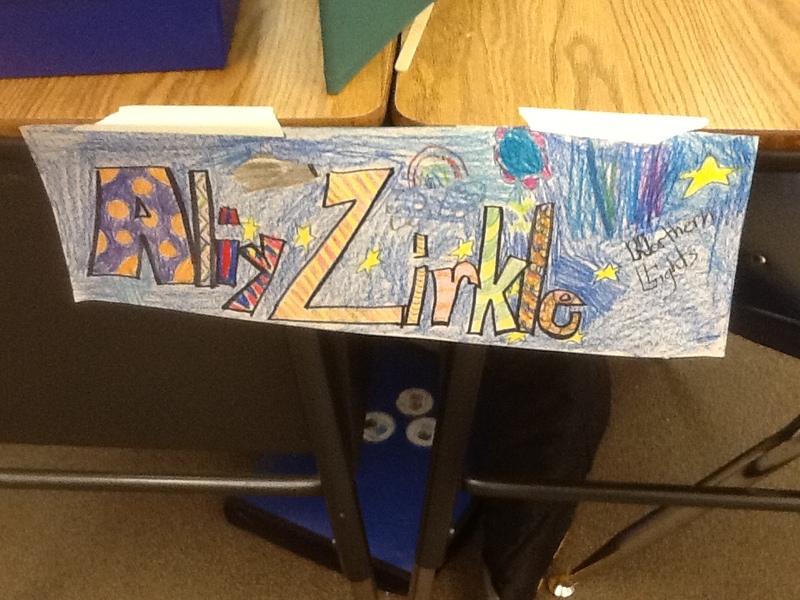 He showed all the modifications he made for the sled. He also had all of his drop backs there. 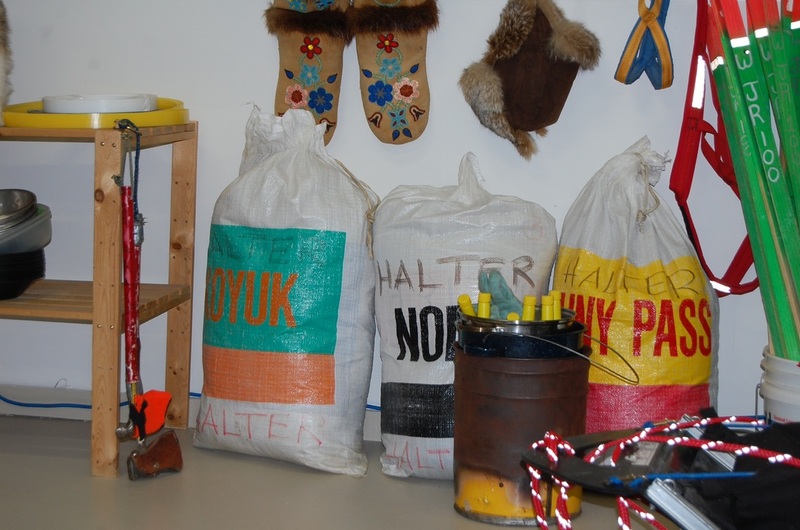 They were labeled for each checkpoint with all the food for the musher, dogs, and other supplies such as hay for the dogs to lay on. 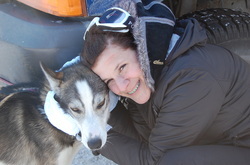 We also got to meet Cindy briefly before she headed out to start getting ready for the Iditarod. 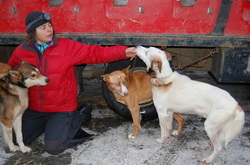 Of course, we got play time with the dogs before we left. This pup named Kiwi just wanted to play the whole time we were there. 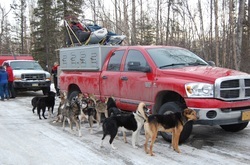 The mushers start pulling in with all of their dogs. 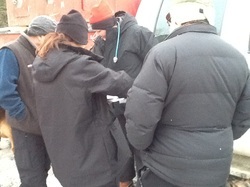 Each dog is checked by a veterinarian. They look at all aspects of the dog. 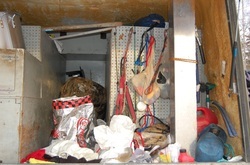 They look at their feet, listen to their heart, take blood and do EKG's when necessary. 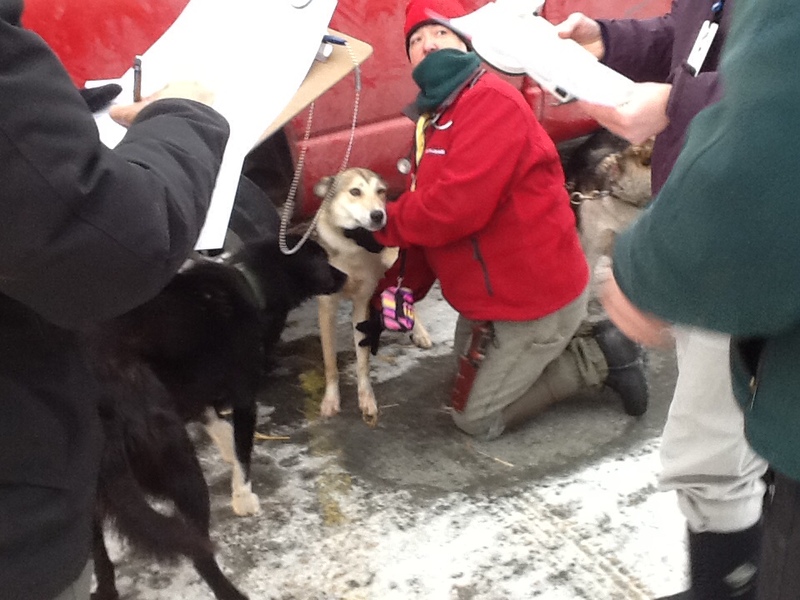 We were able to talk to the vets and the mushers. 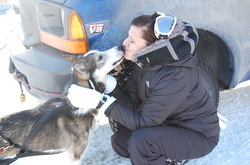 We also took time to love on the dogs. 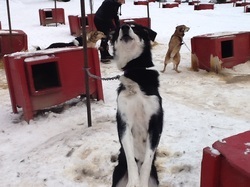 They were very excited when they rolled in and they were enjoying all of us there to pet them as well. 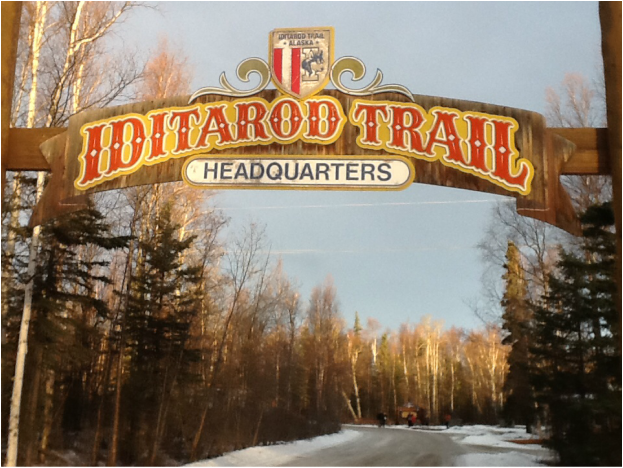 On Wednesday we went to Iditarod headquarters and got to see some of the mushers arrive and have their dogs checked by veterinarians. This is one of the group of vets that was at the headquarters. 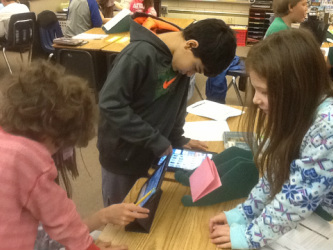 Skyping with Mrs. Grossimon's class was fun. The dogs were excited to be on camera. 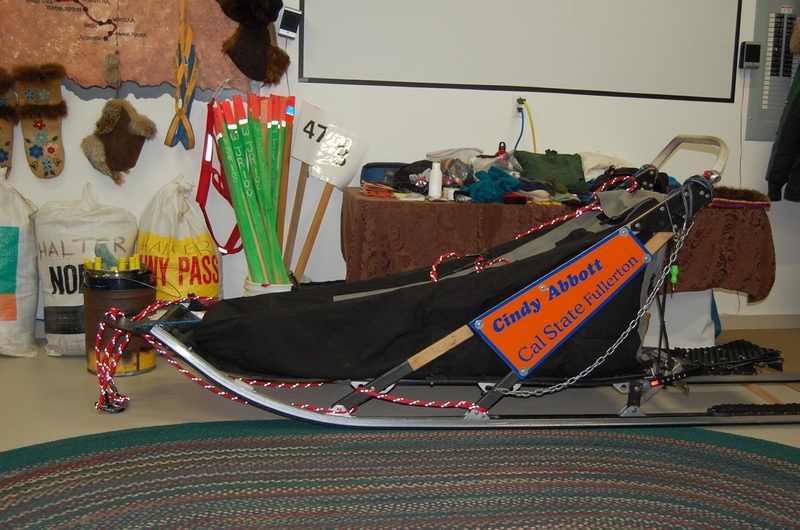 This is a sled that one of the mushers is going to take out on the trail. 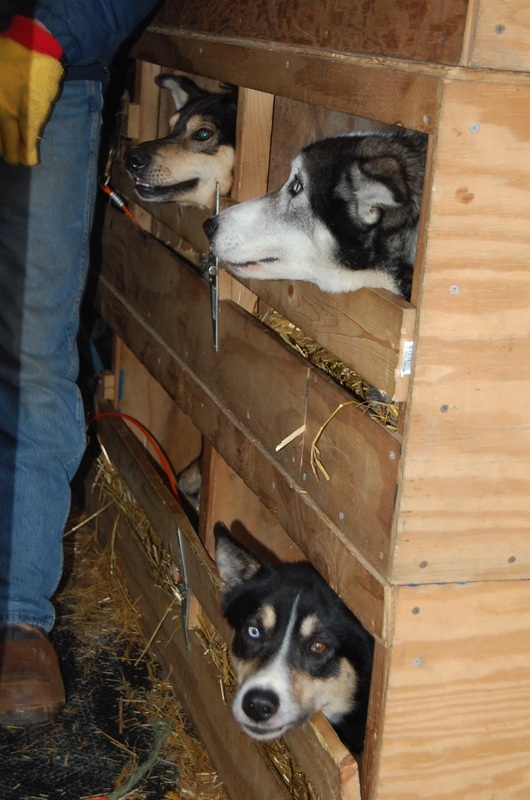 Here are the dogs hanging out by their musher's truck. 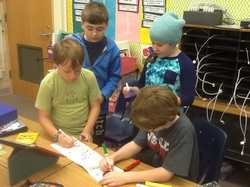 After headquarters, we went to Dream a Dream dog farm. 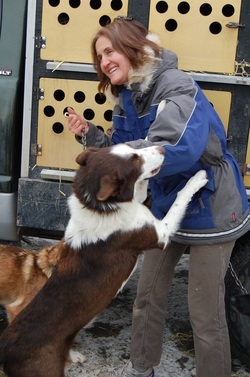 Musher Cindy Abbott is training here with Vern Halter who owns this dog farm. 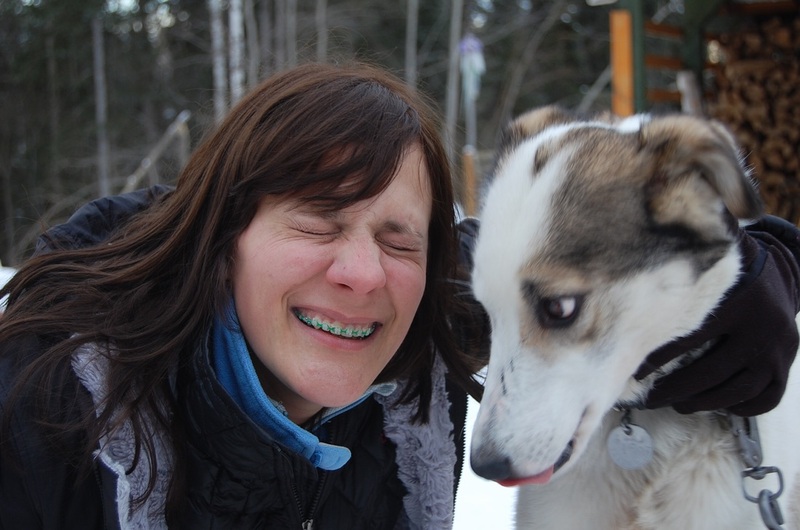 This dog was so much fun and loved playing peek-a-boo. His name was Kiwi. The dogs were really excited to see all of us. Some were so excited they just jumped up on you. 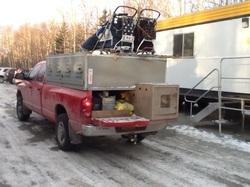 This is one of the mushers getting their dog out of the truck to get ready for the vet check. Mrs. 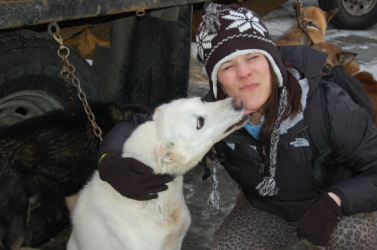 Brewer has to get dog kisses whenever she can. 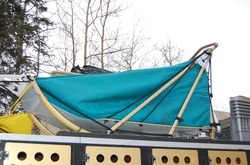 In the back of one of the mushers trucks, you could see some of their equipment they will pack in their sled. This dog was waiting to be unloaded for his vet check. He enjoyed being petted so much he didn't want you to stop. This dog was very loveable and kept flopping down to have his belly scratched. This is Vern Halter who owns the Dream a Dream dog farm. 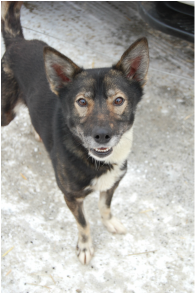 Here's another dog anxious to be petted. This is a view of one side of the dog farm. This was on the screen on the back of our airplane seat. 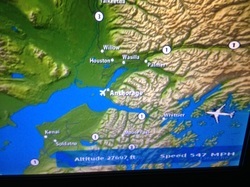 We got really excited when it switched over to Alaska. We watched as we got closer and closer. We flew from Austin to Denver. Our second flight was from Denver to Anchorage and was a little over 5 hours. 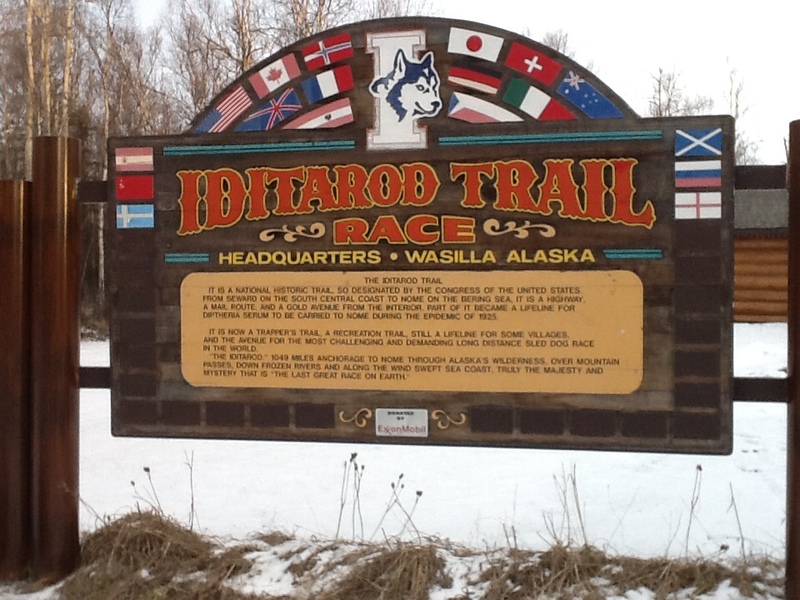 We arrived in Anchorage around 11:30 p.m. so it was a long day. We rented a car and drove to our hotel. 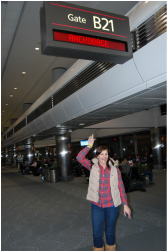 We were so excited to see this sign that we were about to board the plane to Anchorage. 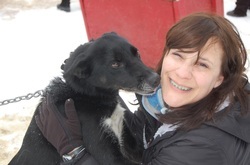 We had to pair up for the sled ride. 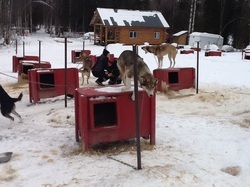 The instructor gave us a quick lesson on how to drive the sled and make the dogs go and stop. 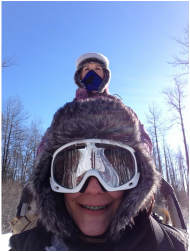 This is the view from me sitting on the sled when Mrs. Wold is driving. 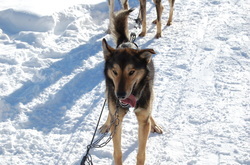 This was our middle dog. When we arrived he was hopping around and jumping over the rope. 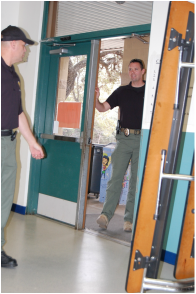 He looked really excited and ready to go! He was our swing dog. This is Mrs. 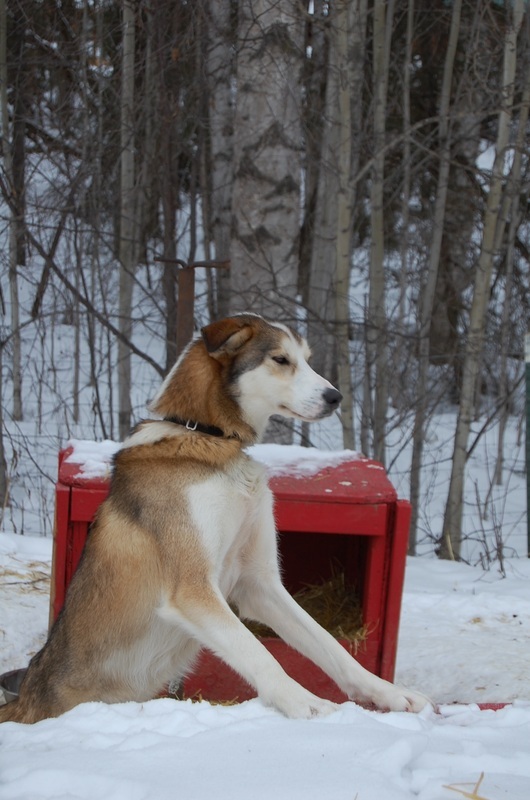 Brewer riding on the sled while Mrs. Wold was mushing. It was beautiful and cold. It was the most amazing thing I have ever done. It brought me to tears several times. 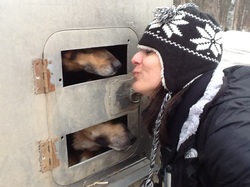 What a great moment to see how loveable these dogs are. Ivan gave me lots of kisses. 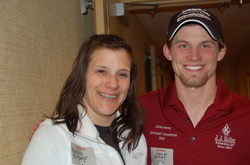 Another huge highlight of the day for us was meeting Dallas Seavey. He was very nice and was very patient with all of our questions. 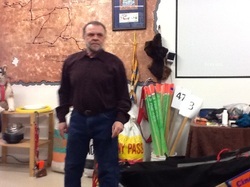 He told us all kinds of great information on the Iditarod, racing and the dogs. He also talked about how he got into it. 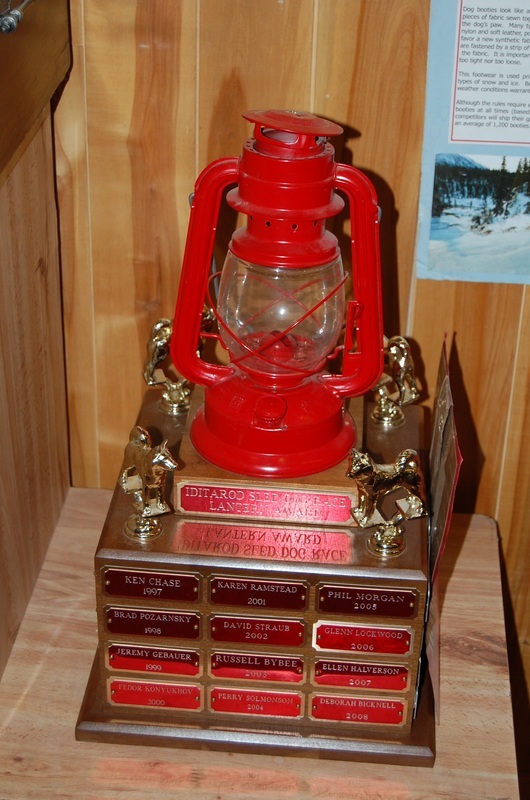 He is the youngest musher to ever win the Iditarod. Mrs. Brewer was born to mush. It was so easy. At first, I was a little nervous that I wouldn't know what to do but I took to it very quickly. Before long, I was calling commands like a pro. At one point I yelled "Gaw" and they turned right light they were supposed to. 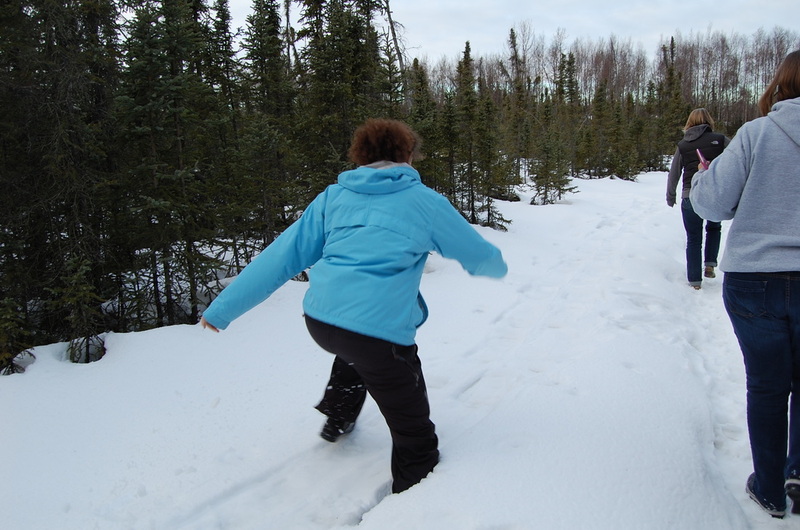 However, we were in a little deeper snow and the sled turned over some and almost dumped Mrs. Wold out onto the snow. We drove for three hours from Anchorage out to Seward to go to the Ididaride dog sledding race. We were a little early so we got some hot chocolate and enjoyed playing in the snow. On the drive we drove through the mountains and they were gorgeous. The lowest we saw the temperature get on our car thermometer was -2. 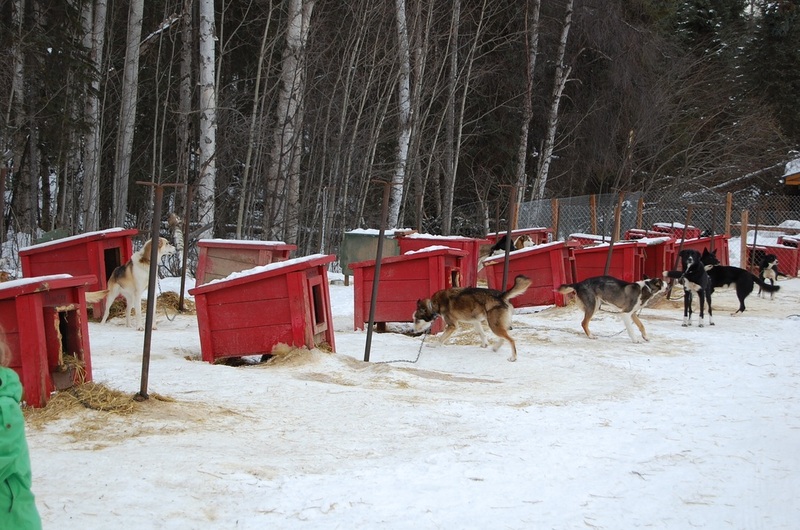 These were our lead dogs. 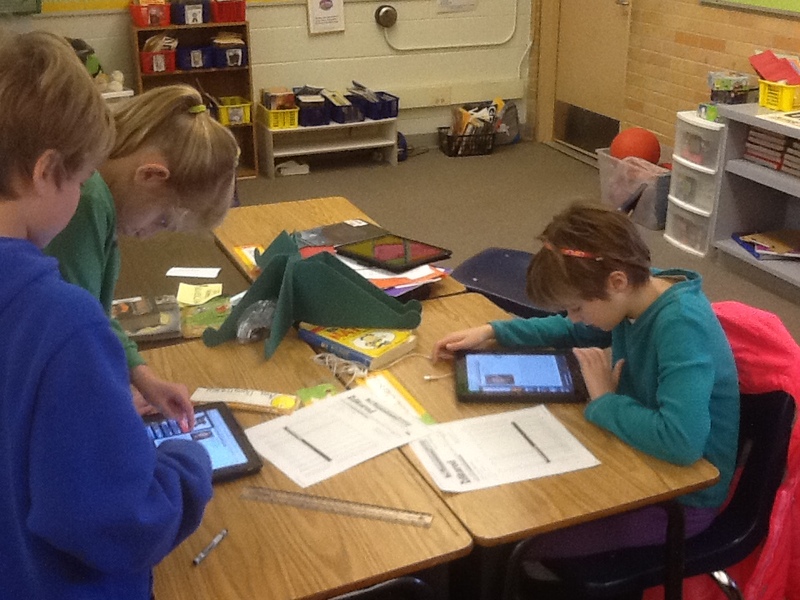 It was interesting to see the dog personalities and jobs that we studied. 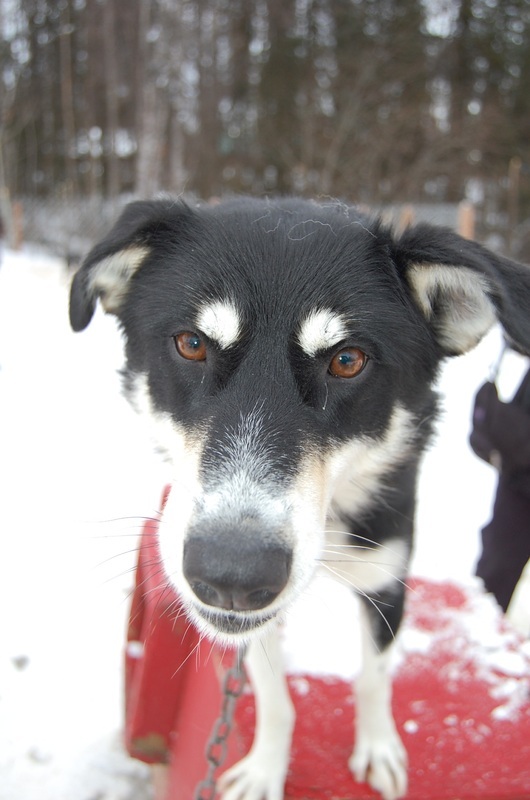 Our lead dogs were very calm and stared straight ahead when we were sledding. 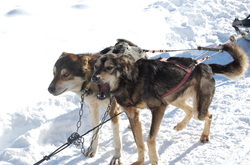 These were our wheel dogs. 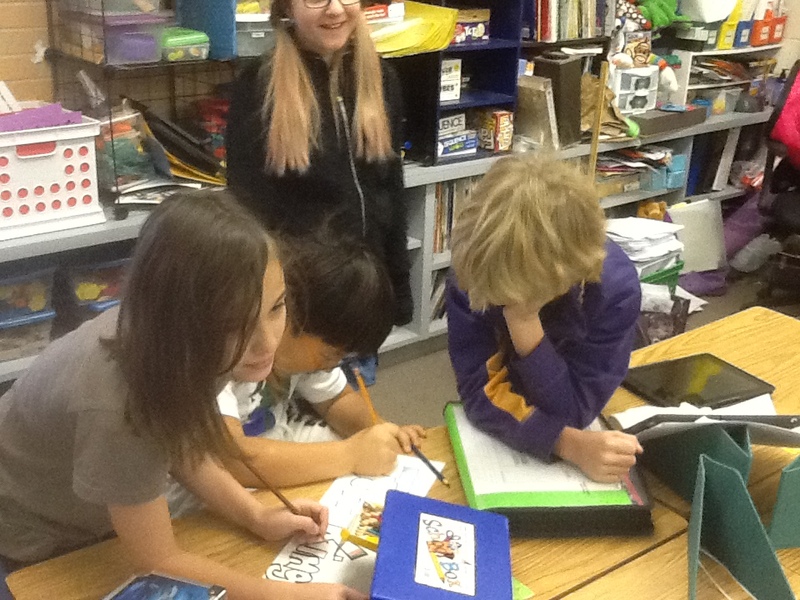 They seemed to have the most energy in the group. They were jumping around and yelping every time we stopped. 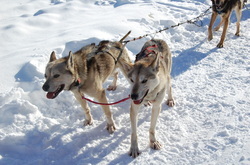 When they were running, they would look back at us from time to time and then often they would kind of nip at each other. 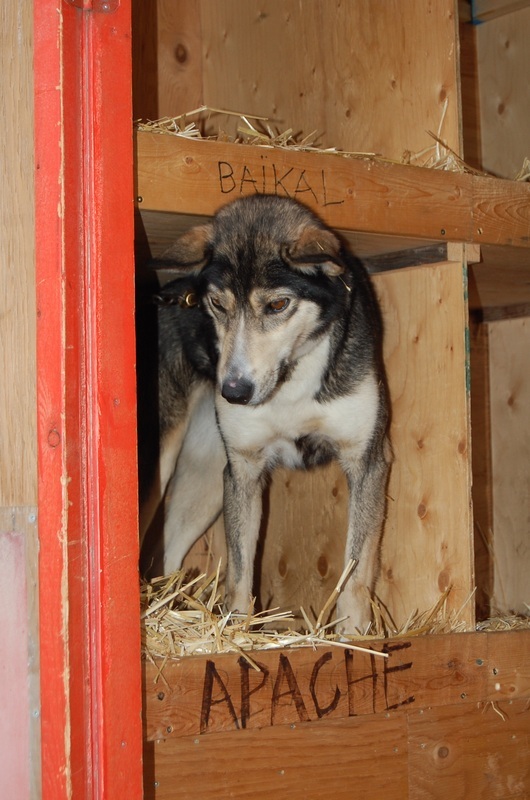 This is Ivan and he is learning to become a sled dog. He was so sweet and loved to be petted as was just so loveable. 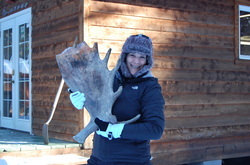 At the dog sledding place, they had a moose antler on the porch. 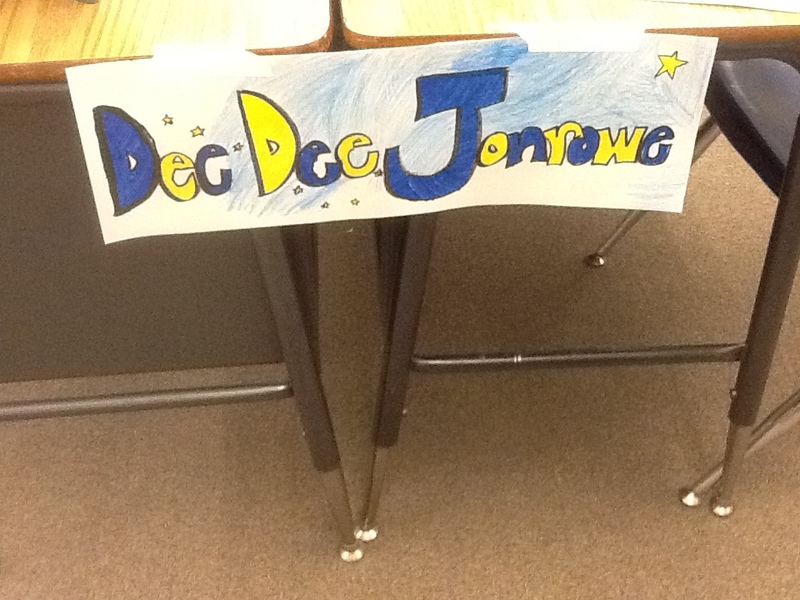 Of course Mrs. Brewer had to pick it up and play with it. It was surprising how heavy it was. It wasn't what I was expecting. This is how excited the dogs were when we arrived. They were ready to run! 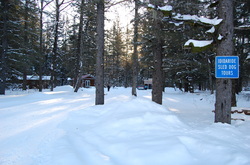 This is what it looked like from sitting on the sled when we were sledding. It was so cool. 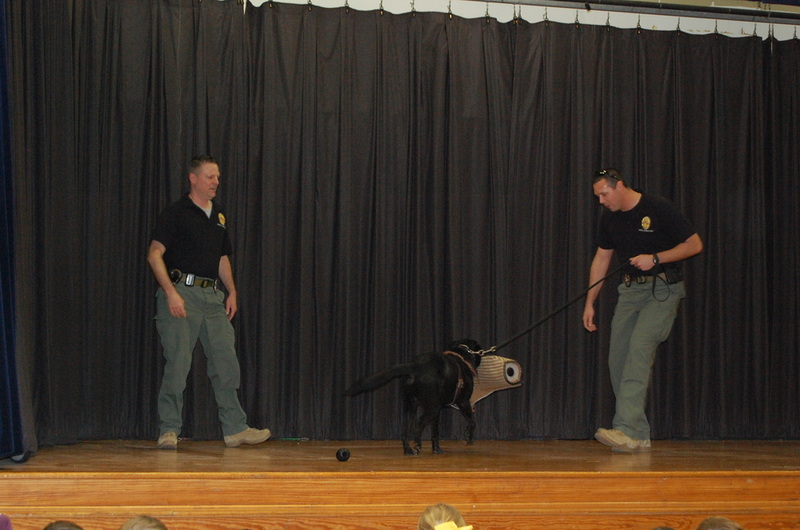 We had an exciting assembly today to see one of the many ways dogs are used to help people. 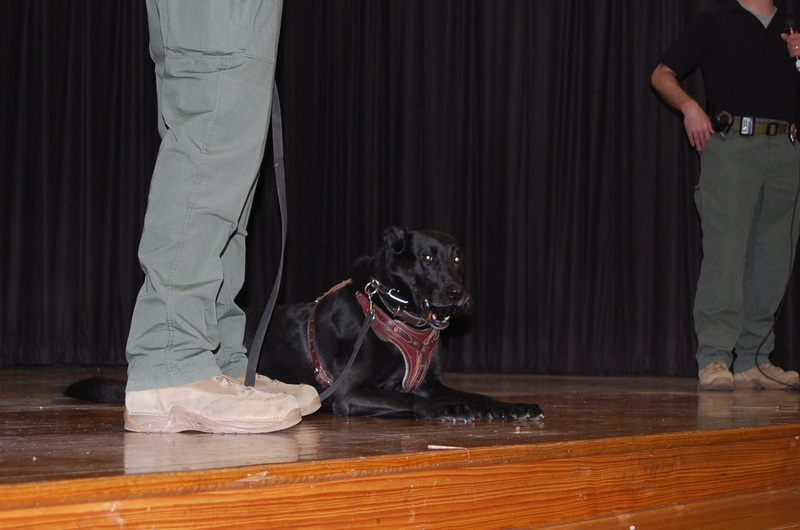 The Austin Police K-9 Unit came and talked to the kids about how the dogs help them and we also got a demonstration from Cash, the K-9 apprehending a suspect. It was very exciting. He lives with the officer that he works with and then when he is retired from his police work, he gets to live with the officer as his pet. 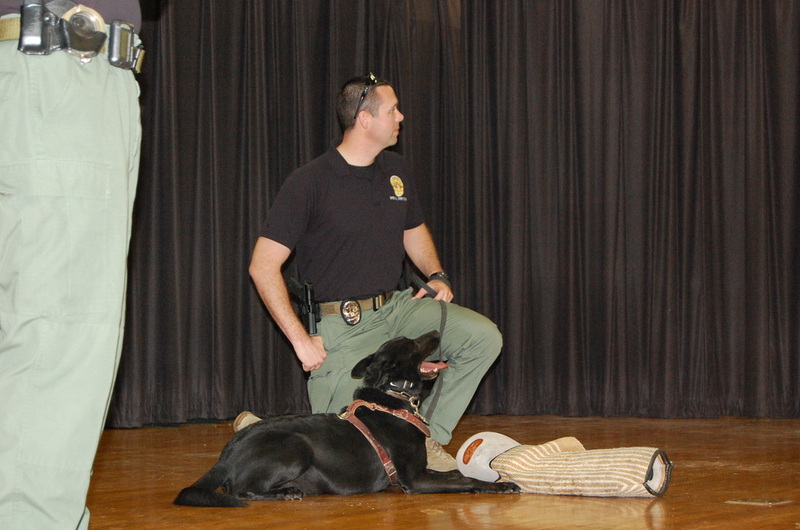 This dog showed such love for his officer. It was awesome to see! 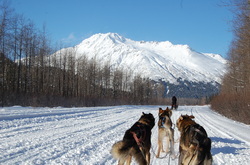 Can't wait to post next week about the dogs pulling the sleds in Alaska. 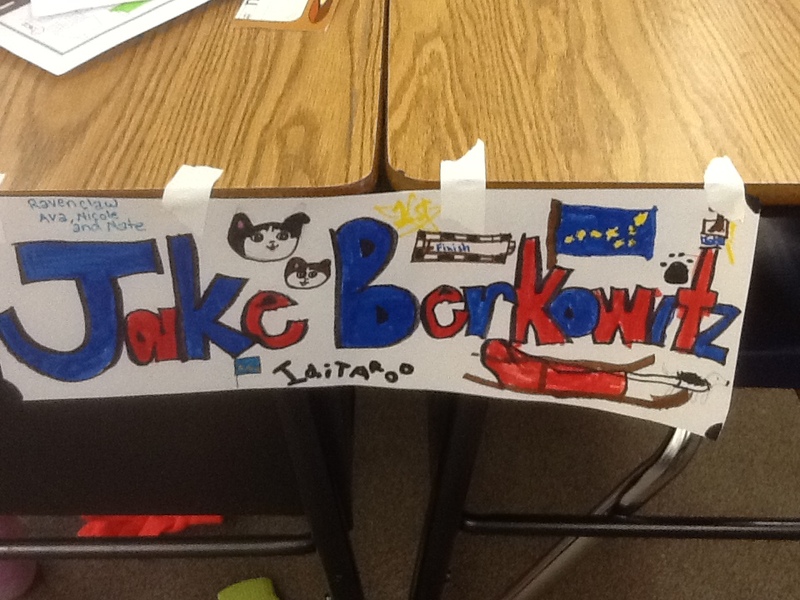 Each table researched all the mushers and chose the musher they would follow. 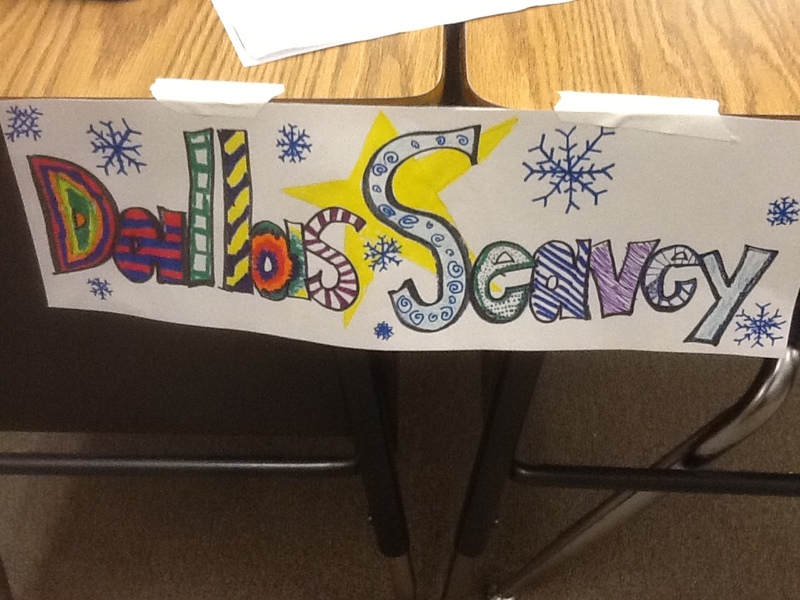 Once they did this, they decorated a sign to hang on their tables to show their support. 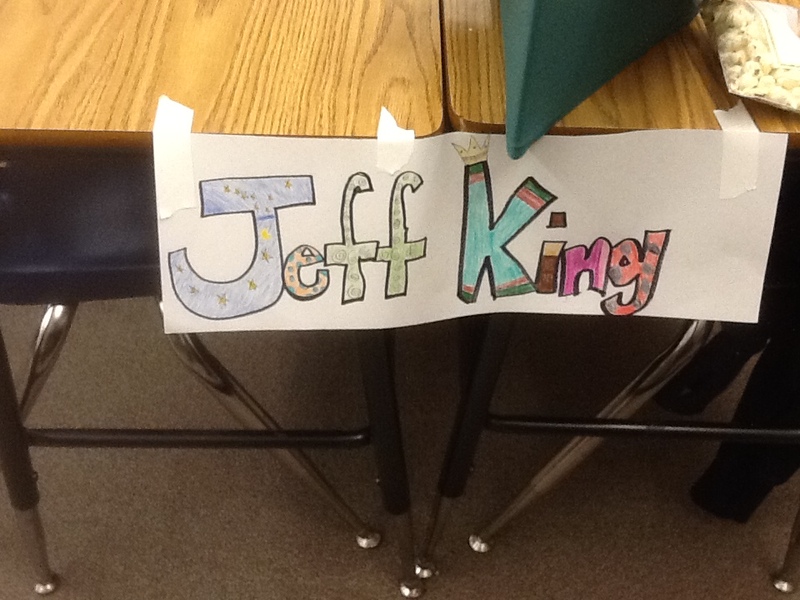 The kids are so excited and really enjoyed reading all the biographies and took lots of care in making their choice. 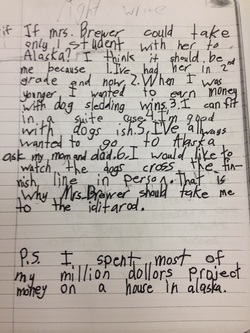 The writing assignment I gave the class was "What if Mrs. 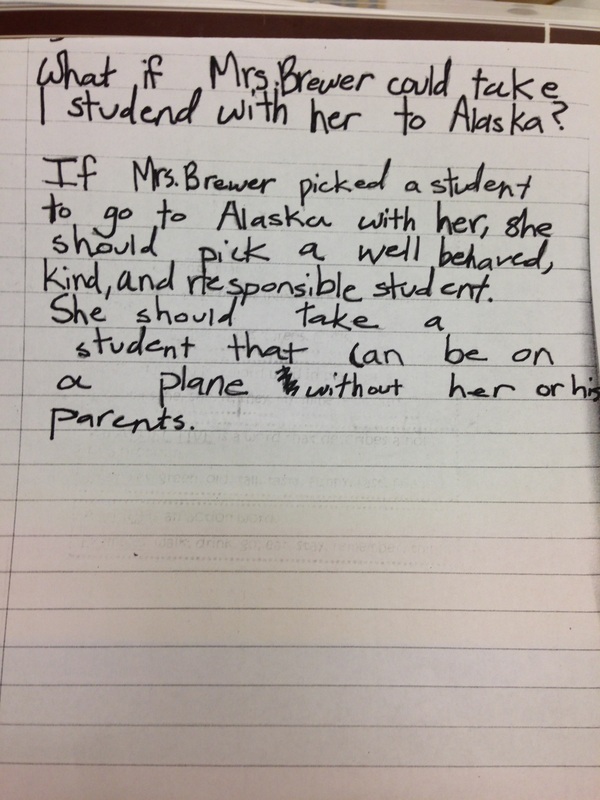 Brewer could take one person with her to Alaska. Here are few of the responses I got. They sure are convincing. Today was an exciting day for me when I went to get the mail. 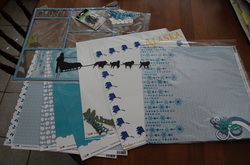 I had my first batch of Alaska scrapbooking items come. I can hardly wait for all of the amazing pictures that I will take on our trip. Of course I bought a cute little laser cut snowman with his snowball pile and the words snowball fight. I fully anticipate an ambush attack on some of my unsuspecting colleagues. Completing this album over Spring Break is my goal. 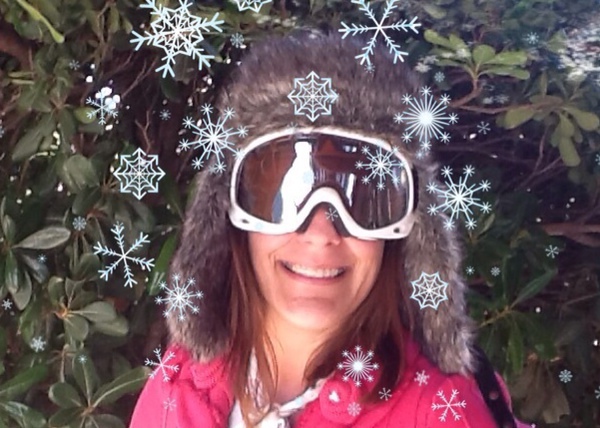 Into our lives a little snow must fall! 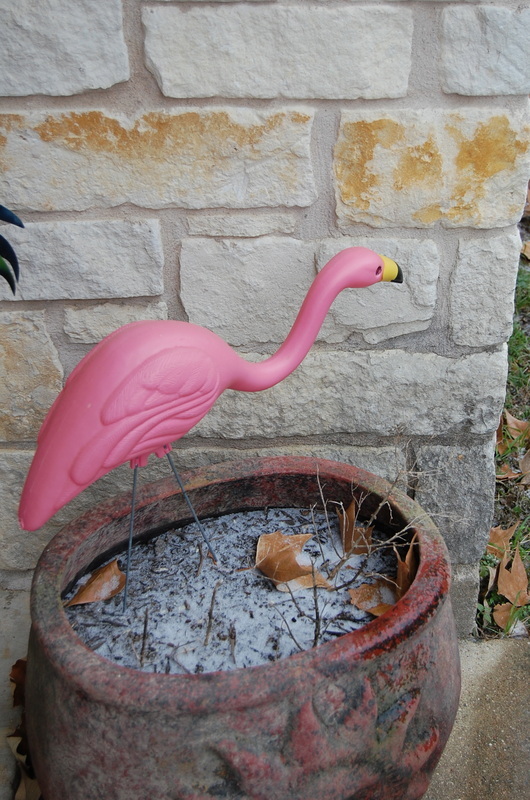 It doesn't take much to shut down a major city and the surrounding suburbs in Texas. 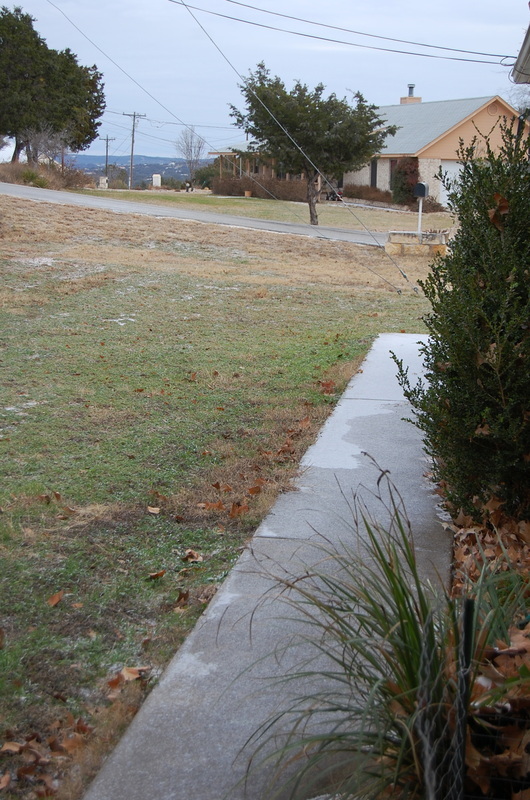 We woke up to iced over roads and a dusting of snow. I'm excited to have the day off but not looking forward to making it up on a nice, sunny day. 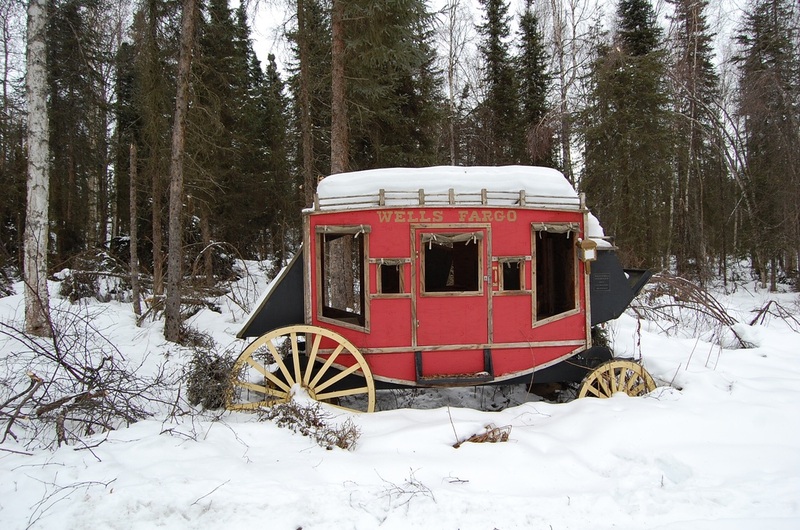 It is getting me excited about going to Alaska though. I've been trying out some of my layering techniques to get ready for the cold. 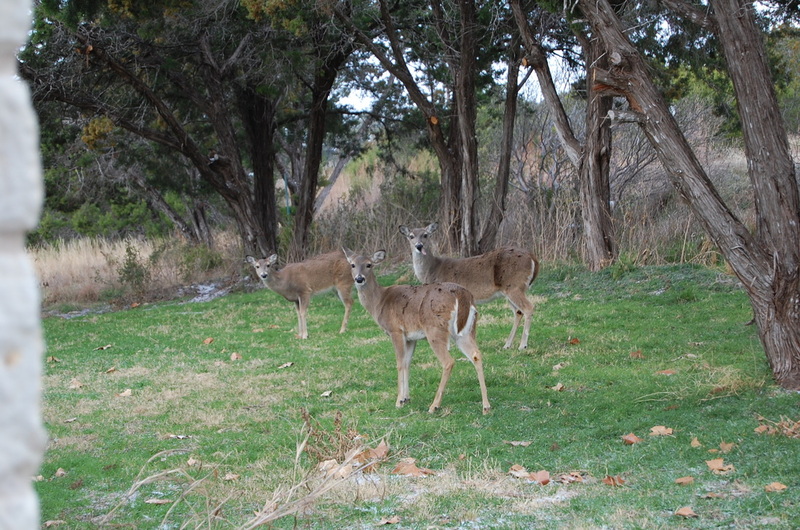 The deer and the birds are all wanting to be fed today because they are cold and they know if they hang around our house, they'll get fed. My cat however, spent a total of 5 seconds on the back porch before she was snuggled with me on the couch again. 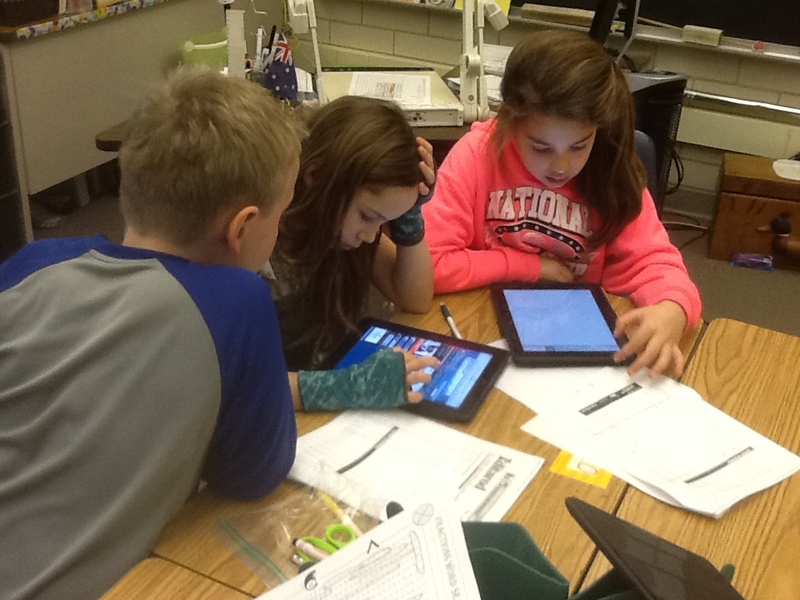 I am a fourth grade teacher and this in my 17th year of teaching. 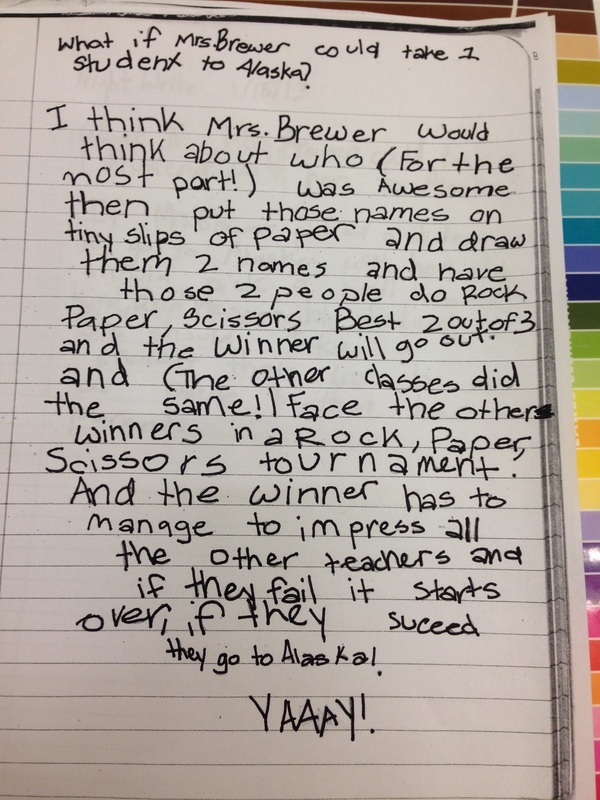 I'm so excited to embark on this adventure and engage my students.